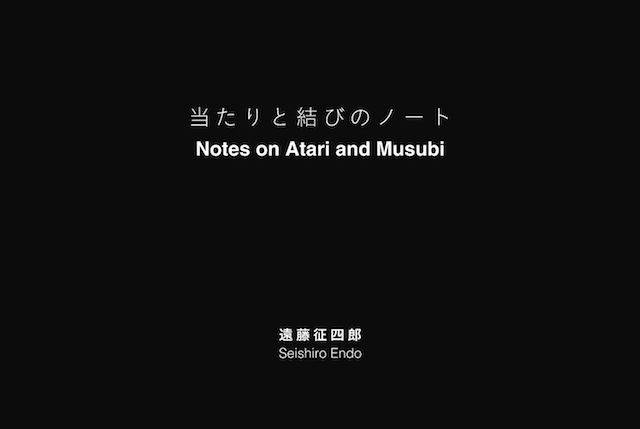 "Notes on Atari and Musubi" are the collection into a booklet the text and content from the DVD "Atari and Musubi". This text includes additions and amendments by Endo Shihan as well as translation revisions. "Might be regarded as spiritual guidance"
The booklet of Endo Sensei Notes is a refined design product. The idea of all (text and photos) in silver over black proves to be a unique visual experience, sort of an uplifting mind feeling, as well as a (positive) visual 'shock'. (I would show this booklet to friends and colleagues from the visual design fields as a fine example of "translating" Budo notes into the visual sphere). The notes themselves are much more than merely Budo remarks, and might be regarded as spiritual guidance as well, (depending on the reader's mind and orientation). Copyright (C) 2007-2017 the way to mastery. all rights reserved.